For couples with kids, romance can often get put on the back burner -- but regular date nights can help cut through some of the stress of parenting. When couples need to get out for a few hours, grandparents are often the first to volunteer to watch the kids. 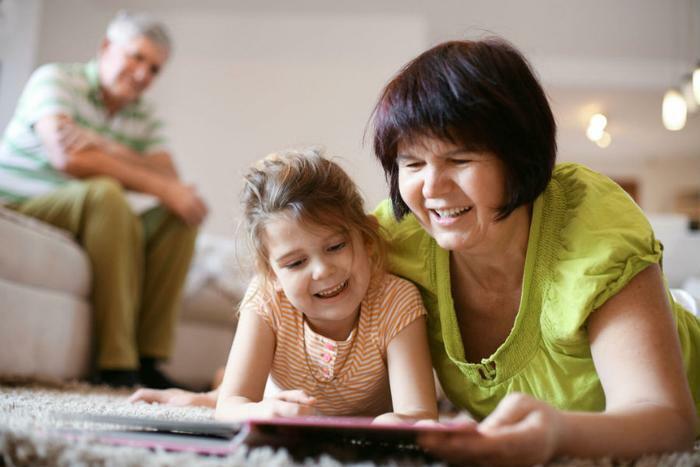 Now, a new study using data collected from 1990 to 2009 finds grandparents who step in to fulfill the role of babysitter may live longer lives. For the study, researchers used data from the Berlin Aging Study which followed 500 seniors aged 70 and older over the course of 20 years. They found that grandparents who provided some form of care to their grandchildren had mortality hazards that were 37 percent lower than seniors who did not take care of children. Young children are highly energetic and curious, requiring close supervision and physical activity from their caregivers. For seniors, opportunities for this type of engagement are rare and valuable. In addition to helping seniors stay physically active, babysitting can even help alleviate stress, the study found. What’s more, the social interaction can help keep the brain healthy. “There is a link between providing this care and reducing stress and we know the relationship between stress and higher risk of dying,” said Dr. Ronan Factora, a Geriatric Medicine specialist at the Cleveland Clinic. And it didn’t matter whether the children in their care were blood relatives or not. Similar benefits were seen when seniors provided care to children who were not their own. “If providing care to grandchildren and others in need is one way that can actually reduce stress, then these activities should be of benefit to folks who are grandparents and provide this care to their grandkids,” he said. While occasionally stepping in to help give parents a much-needed break can translate to a longer lifespan for grandparents, dedicating too much time to caregiving can negate the health benefits. When it comes to caregiving, balance is key. An overwhelming amount of caregiving can actually be a source of stress and aging, says Factora. "You want to make sure that you find that right balance where you are doing what you can to stay active, doing good for the folks that you're helping out with, but don't do too much where you get to the point where you're overly stressed," said Dr. Factora. The full study has been published in the journal Evolution and Human Behavior.